I can’t help it… I am and have always been a major sweet lover. My kids apparently inherited this trait. Hopefully, they will inherit more of my good traits than my bad ones! Being a parent, its easy to worry too much- you worry about your kids growing up right, if they will make friends easily, you worry about them getting enough exercise, you worry about if they will be kind to others and grow up to become good law-abiding citizens (just to name a few things). I guess that is one reason why I always find myself trying to find ways to make things a little “healthier” (such as using applesauce in place of oil, forgoing shortening or butter when a healthier alternative can be used)… However, you mustn’t forget that some treats are simply meant to be eaten sparingly and when the occasion arises, one should perhaps just “let it be”, and celebrate being alive by indulging in something that is… indulgent! 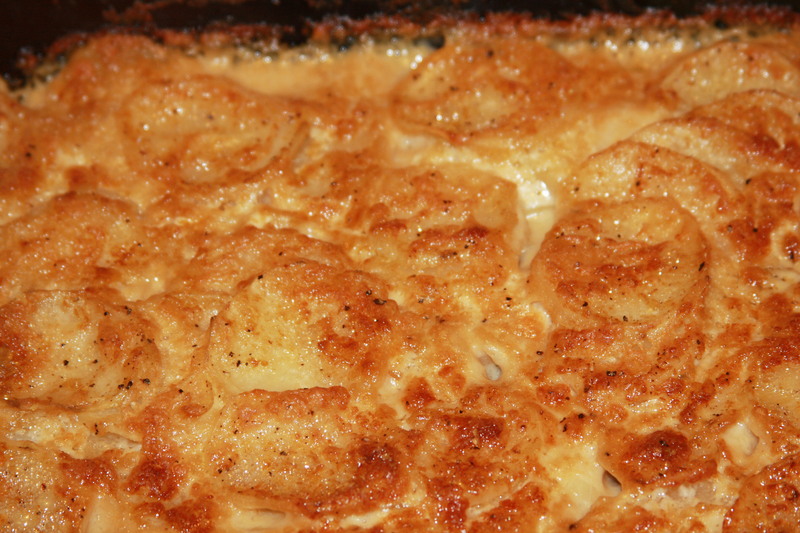 Preheat oven to 350 and spread the batter in a sprayed 8×8″ square baking dish. (Like I said, it will be very thick, so you literally have to spread it out as evenly as possible.) Bake for 30 minutes or until a toothpick/knife comes out of the center clean. Cool completely and dust with powdered sugar. Cut into 9 squares and serve! Enjoy me with a nice glass of cold soy milk!! 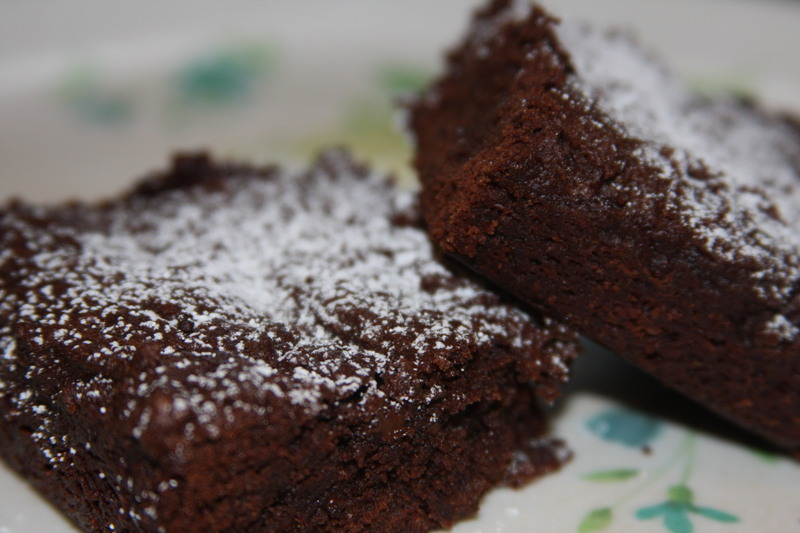 ** THE QUICK FIX ** If you are in a hurry and don’t have time to make homemade brownies (though I find in my experience it is best MAKE time for homemade goodies), Cherrybrook Kitchen has a great selection of mixes for brownies, cakes and more! Most of their mixes are gluten-free & vegan… and did I mention delicious? 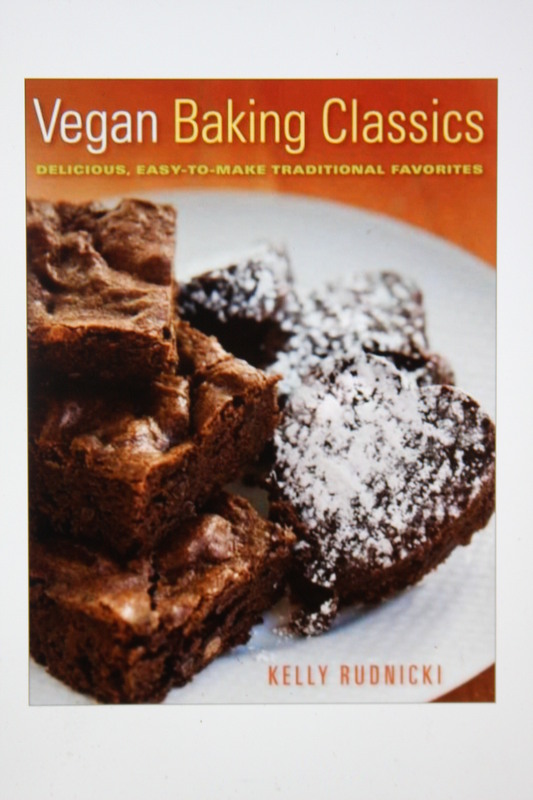 Duncan Hines’ California Walnut Brownie mix is also vegan. Stay tuned… I’m starting to think about what muffins, cookies and breads will make it into my Christmas goody bags this year! Any suggestions are welcome! Somehow, Thanksgiving has snuck up on me this year!! I’m sorry I haven’t shared more recipes with you, but I did provide some links below to some of the things I will be making and more! We are having a family feast for 21 this year on Thanksgiving day at my mom’s, so I decided to pitch in and bring a few things to help out! Plus, since many others at the feast are not vegan, it’s fun to bring a few dishes to show everyone that vegan cooking is incredibly delicious! It just so happens I have a 3-pot crock-pot cooker, so I chose dishes that would work with that. Another great thing about using a crock pot is that I won’t need to use the busy oven at my mom’s for reheating anything – I can easily heat things up just by plugging it in and stirring every now and then! You can’t beat that! Sorry – I haven’t put any of those recipes listed above on my blog (except for the pumpkin pie)! But don’t sweat it – there are TONS of recipes online that have been making me drool! Here are some recipes that I thought looked awesome from some other sites that I wanted to share! The Post Punk Kitchen has an awesome looking maple pecan pie I am planning on making if I can squeeze it in… and there are many more holiday dishes to peruse here! Check out the Thanksgiving page. Mmmm. 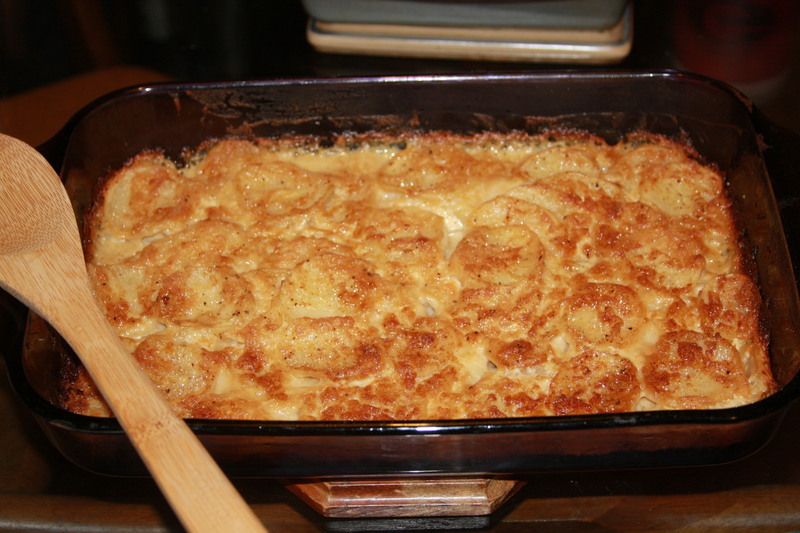 We just made these scalloped potatoes tonight. We made them (minus the fennel) and they were spectacular! Definitely making these again! Also, this page on Inhabitots has links to some fun eco-friendly kid Thanksgiving crafts and also several recipes like these easy miniature apple pies! 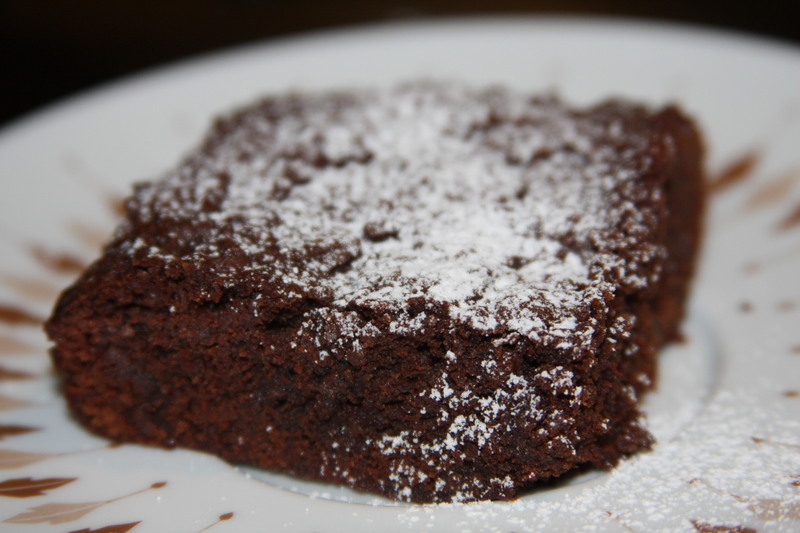 The Gluten-free Goddess always has an amazing list of holiday friendly foods. Check out her list vegan and vegetarian foods here! And don’t forget about Vegan Dad. He makes some amazing food! I have a “must-try” list accumulated from his blog site! Another good site to explore is Alicia Silverstone’s Kind Life website. Full of good recipes and other veggie news! If you are new to my blog, you may have missed some previous veggie side dishes that are great for the holidays, such as my lemon maple sweet potatoes, cauliflower mashed potatoes , butternut squash soup, green bean casserole, maple roasted parsnips, agave glazed carrots,… and these pot roast veggies cook up beautifully and easily with a tofu-turkey roast. You definitely don’t need a turkey to have a delicious holiday meal, but if you need or crave that “meaty” centerpiece, I recommend the Tofurkey roast (available at most supermarkets) or a Field Roast. Or you can make your own homemade tofu roast (which is a bit more complicated but worth the effort). The Post Punk Kitchen makes a yummy looking seitan roast on their Thanksgiving page (see link above). Regardless of what foods you choose to make, remember the purpose of the holiday is to relax and enjoy the company of those around you! When the weather starts to get chilly, there is nothing like a big bowl of biscuits & gravy to warm you up from the inside out. I wish I could bring this to everyone affected by the early winter weather storms we’ve had this year. 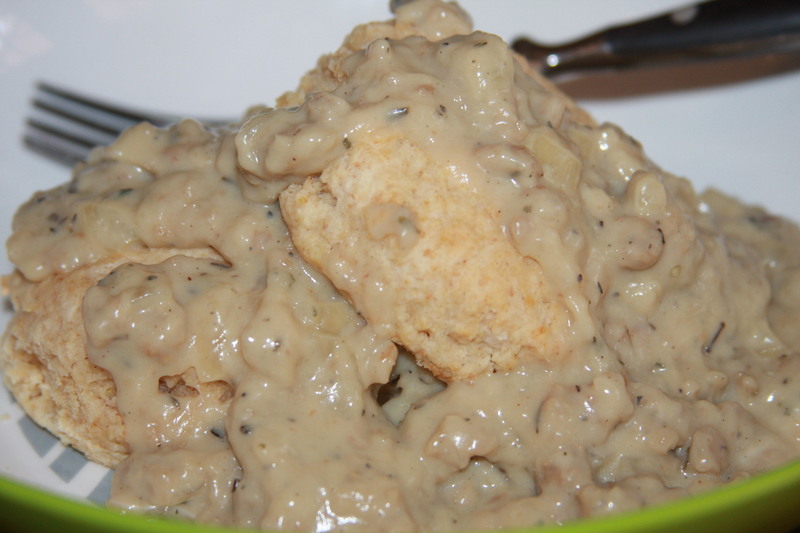 Hopefully you don’t think biscuits and gravy are just a “southern thing”… If you’ve never had a good meal of biscuits & gravy, you are missing out on one of the best comfort foods out there! This is a meal packed with protein that both kids and adults can enjoy. It makes a great breakfast, lunch or dinner when served over these vegan buttermilk biscuits. 1) Brown the soysage in a big skillet over medium-high heat with a little olive oil by chopping it into bits with your spatula while it cooks. Once it is chopped into bits and browned, move it into a separate bowl and set aside. 2) In the same skillet, saute the chopped onion in a bit of oil until translucent. Then add the soysage back in there with the onion and mix them together. 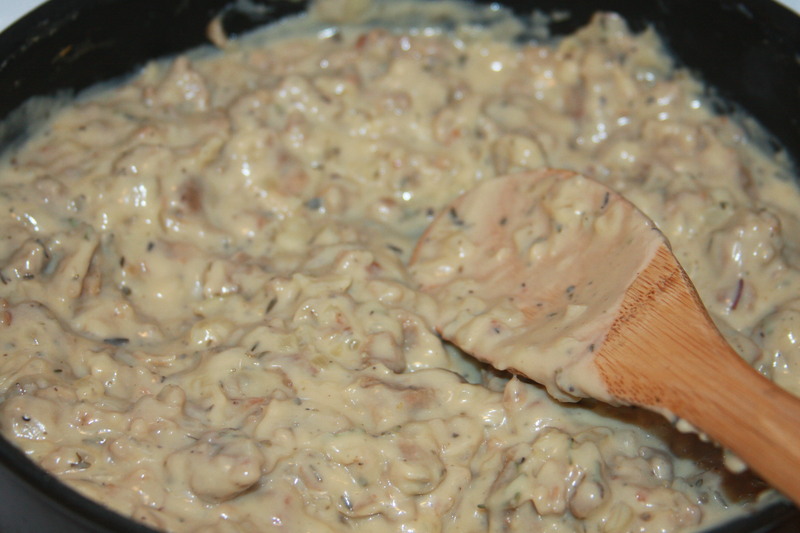 3) Add in the flour and soy margarine to the skillet, mixing well until everything is mixed together thoroughly. Turn heat down to medium. 4) Add in 3 cups of soymilk and stir. Add the herbs & spices. Continue cooking and stirring while it thickens, adding in the last cup of soymilk bit by bit as necessary, until desired thickness is achieved (though once the gravy is pretty hot and getting thick, turn down the heat down to simmer/warm). Serve over top of these buttermilk biscuits. In my opinion, a really good Thanksgiving meal is about enjoying a collection of many different dishes… maybe the turkey is a big part of that to you, but in my family, we celebrate our gratitude by acknowledging that for us, a sacrifice is not a necessary component on the table. The way I see it, there are enough sacrifices that each of make in our daily lives… this is one day we shouldn’t have to sacrifice anything! It is a day to enjoy, appreciate and be grateful for all that is in existence… every plant, every animal… and every person! That being said, Thanksgiving recipes will be forthcoming!